Older people like to stand on their own feet. They also like to get out and about and that means walking. Unfortunately they also have trouble caring for their feet. Hornsey Pensioners Action Group (www.hornseypensionersactiongroup.org.uk) has campaigned for over 8 years to highlight the importance of good foot care for older people. Way back in November 2007 half the members at the AGM of the Haringey Forum for Older People admitted that they had trouble cutting their toenails; NHS figures confirm that 63% of those over 65 have such trouble. Considering the health benefits of foot care that promote mobility and prevent falls and foot infections that lead to costly hospital treatment, it would be economic to provide professional services, but on the contrary services in Haringey have deteriorated. September 19th Friends of Muswell Hill Library announce a talk ‘Creative Writing’ by Nicola Charalambou to be held in the Adult Library 3pm – all welcome! October 4th. To send a message to the Conservative government, the TUC has organised a large demonstration of opposition to austerity measures in Manchester on this day. Some of us may attend. Unfortunately the Age UK contract to support the Caring Connections Friendship Groups has ended. Watch this space for any development. Do you want assistance with household chores? A friend of a member, earlier seeking accommodation, is now housed but offers help for a reasonable charge. The National Pensioners Convention (NPC) publish Campaign Bulletins such as the Age Audit giving facts and figures. Ask if you want copies. Note that HPAG had an article about the BBC in the Broadway Ham & High on July 16th. NPC Transport Conference: ‘New Government – where next for concessionary travel?’ Sept. 24th 11am -3pm. Book by Sept. 1st to NPC office. GLA Older Persons Research Project – Planning Policy Review: papers available from the seminar at City Hall on July 17th. Older people need to tell planners what they want. REACHING OUT TO OLDER PEOPLE IN HARINGEY !  Hornsey Pensioners Action Group is delighted to announce receipt of funding from the National Lottery Awards for All scheme to reach out to many more older people in Haringey. Our Group has been Awarded £9,485 for a 1 Year Outreach Project to publicise our group to older people in Hornsey and nearby areas. Founded some 20 years ago we aim to improve the position of pensioners local and nationally by taking action on issues that affect us. We endeavour to develop a community spirit and action group among local older people by holding a monthly public meeting and social events. We take action to support the rights of older people by raising issues and concerns with relevant organisations, our MP, councillors and the media. And we provide information on issues of concern and services available in our locality through a monthly newsletter, our website and regular columns in the local press. Our Outreach Project will enable us to publicise the group widely within Haringey to recruit more members who can then benefit from our activities. Government Mechanisms in Place to Tackle Fuel Poverty – October 2011 as specified by Lynne Featherstone after our lobby. The Warm Front (WF) scheme provides heating and insulation improvements to households on certain income-related benefits living in properties that are poorly insulated and/or do not have a working central heating system. To date it has helped more than 2.3m households vulnerable to fuel poverty. The Government has committed to a smaller, more targeted Warm Front until March 2013, and is expected to help a further 90,000 low income households over this time. Under the Warm Home Discount (WHD) Scheme the big 6 energy companies are legally required to give a discount on energy bills to around 2m low income and vulnerable households per year. As part of the scheme, Government is working to use a data matching process to provide over 600,000 of the poorest pensioners with a £120 discount on their bill this winter. Other groups such as low income families and those with long term illnesses and disabilities may also receive this discount, depending on schemes offered by individual energy companies. They may also receive assistance under transitional arrangements from the previous voluntary agreement. The scheme will be worth up to £1.1 bn between April 2011 and March 2015. The Super Priority Group element of the Carbon Emissions Reduction Target (CERT) extension requires suppliers to target 15% of their new carbon savings target on households most at risk of fuel poverty. The CERT extension will have a positive impact on fuel poverty: it is estimated that over 500,000 measures will go to low income and vulnerable households over the 2 years of the CERT extension. Some of these households will be taken out of fuel poverty, while many more households will receive measures which protect them from falling into fuel poverty. Both the CERT extension and WF scheme will have come to an end by end 2012/early 2013. The future of energy efficiency and heating support for low income vulnerable households is in the Green Deal’s Energy Company Obligation (ECO), due to begin late 2012. ECO will involve an obligation on energy suppliers with two components: one focused on carbon savings, and one focused on “Affordable Warmth” for low income vulnerable households. Winter Fuel Payments (WFP) are annual payments to pensioner households. They are worth £200 to those who have reached women’s state pension age, and £300 for households with someone aged 80 and over. In winter 2010/11, the Winter Fuel Payment helped over 12.7 million older people in over 9 million households with their fuel bills. – Come and join us – don’t sit in the cold alone! – We will be calling on all shops, pubs and public buildings to welcome those who wish to get warm. Fuel poverty should be seen as a public scandal, not as a private problem. One in four families in the UK is shivering, out of sight, behind closed doors. There were a shocking 25,700 additional UK deaths last winter compared with other seasons. Yet the ‘Big Six’ energy corporations are making massive profits. The government and energy companies may want to keep it this way, but we say this can’t go on. In the UK, these companies are deciding how 99% of our energy is sourced, produced and priced. Under this monopoly, we have no say in these decisions, despite them having a major effect on our health and on our climate. So, we’re coming out with thermoses and snacks, info displays and games to hold a public coffee lunch for local people of all ages. Together we will ‘warm up’ in a local venue, check our energy bills and tariffs, have a good chat, and call for people’s welfare to come first! 1 in 4 UK homes are in fuel poverty, many have to choose between heating and eating this winter. The Office for National Statistics calculates that there were 25,700 excess winter deaths last winter in comparison to other seasons. Many of these deaths were due to the fact that people could not afford to heat their homes. 6 companies have a 99% monopoly over UK energy and are making record profits from the deadly bills. The government is cutting the Winter Fuel Allowance and local councils and landlords are doing little about the shameful state of housing and insulation. The ‘Big Six’ energy companies are: British Gas, EDF, npower, Scottish & Southern Electric, e.on, and Scottish Power. Their profits per customer rose by over 700% over the course of a few months in 2011. Recent ‘reductions’ to energy prices of around 5% come after rises of around 15-20% last year, and so are not really reductions at all. Fossil Fuels are running out and becoming ever more expensive. The energy companies pass this cost on to consumers, yet they blame ‘green’ initiatives for the rise in price. The profit-driven addiction to fossil fuels (oil, gas and coal) is also behind climate change, which is already killing 300,000 people each year around the world through extreme weather events, floods, droughts and crop failures. The Big Six and Government are making all the decisions about our energy, and they’re prioritising private profits over our rights to warmth and a safe environment. We want to see decision-making by the people for the people. Instead of paying billions in profits and bonuses to energy company bosses, we could secure sustainable energy and warm homes for all – join us to discuss how to get there!